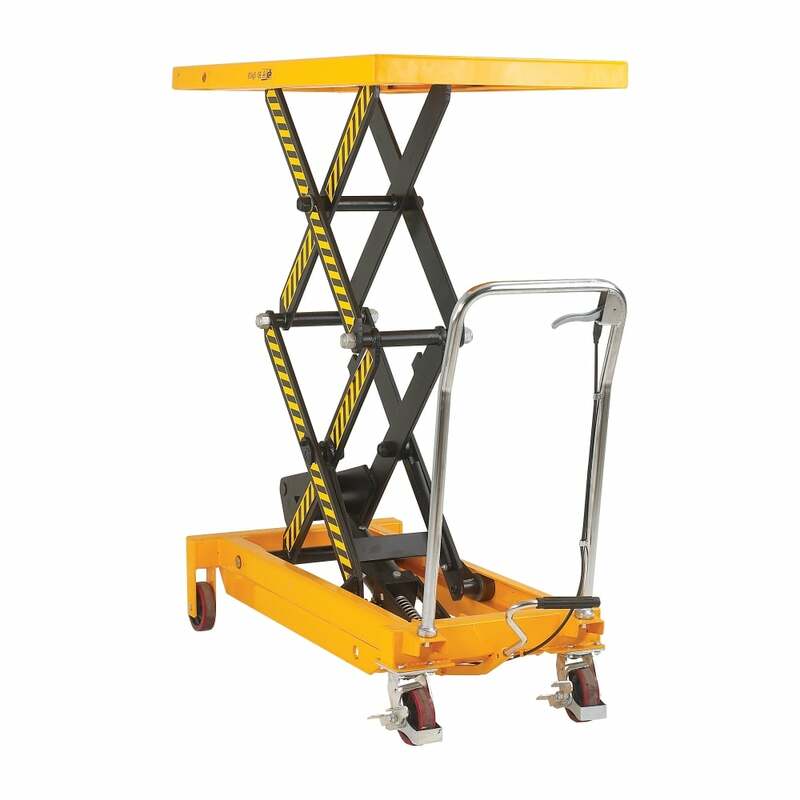 High quality lift table at a great price. Manufactured from steel with a Yellow and Black powder coated finiah. Manual hydraulic lift with foot operated pump Hand trigger for controllable lowering High push handle. Foot brakes and bottom stops fitted to swivel castors.